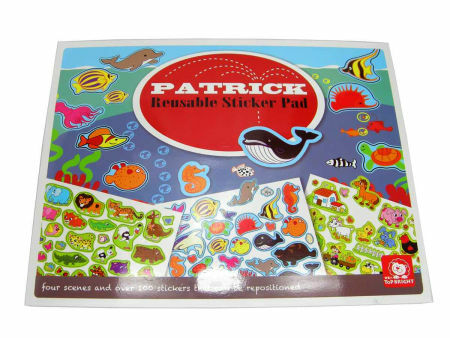 Reusable Sticker Pad comes with 4 scenes and 100 stickers that you can use over and over again. This lovely interactive toy allows your little one to create and re-create stories using the stickers and backgrounds for inspiration. A well thought out toy which also keeps the stickers off your walls and furniture. Great to take with you on a trip out. Material: Heavy duty card, paper. We like this because: Simple engaging fun. Take it anywhere."